Coming of age in early 1960s suburban California, Rebecca Madden and her beautiful, reckless best friend Alex dream of lives beyond their mothers' narrow expectations. As teenagers they are inseparable. But then, one sweltering evening the summer before their college graduation, a single act of betrayal changes everything. Decades later, Rebecca's haunting confession reveals the truth about that night, the years that followed, and the friendship that defined her. 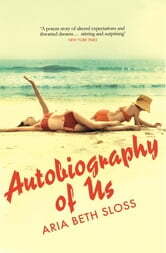 Gorgeous, captivating and compelling, Autobiography of Us is the story of two women caught between repression and rebellion, and the sacrifices, struggles and triumphs of a generation.